Nursing is a great career choice for your future because it can secure your life. If you want a stable income and a job where you will never be given a pink slip, then nursing is the right career choice for you. People live longer and this is a boon for the nursing profession. If you are a nurse, you would have your hands full if you are taking care of older people. There is a new specialty called geriatric nursing that is taking care of the older people. At the turn of the century, the average life expectancy was about 50. Today, the life expectancy is more than 70 years and much higher in developed countries. The World Health Organization has said that in 2015 the average life expectancy was 71.4 years. In the UK, the life expectancy is 81,whereas it is 79.3 in the USA. As healthcare improves, the older population will increase and there will be a huge demand for qualified professional nurses. As more hospitals are opening up everywhere, there is a need for more nurses to work in these hospitals. Nurses are the most integral part of every hospital. The nurse works in a team that includes doctors. Most hospitals have different specialties and nurses need to be experienced and qualified to work in these specialty areas. In the USA, there are 8,98,000 beds, as per data in 2017. The number of admissions in these hospital beds was 34.9 million. And of these admissions, the average stay of the patient in each admission was about 5.5 days. 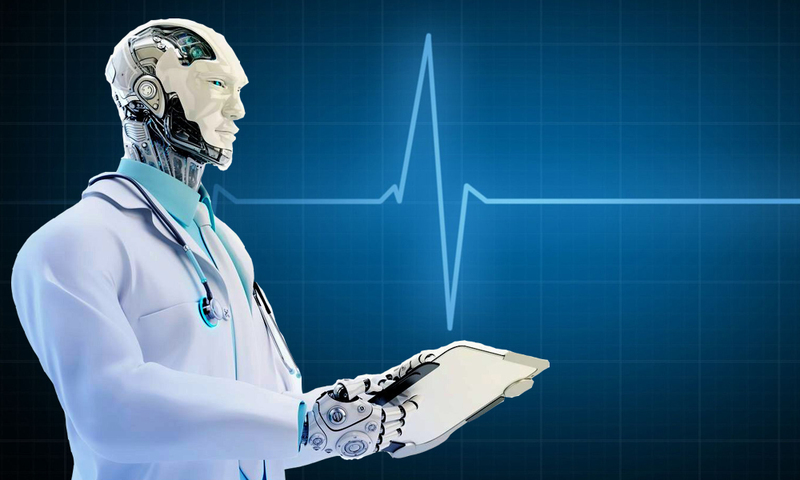 Artificial intelligence cannot replace a nurse. The essence of a nurse is the care and affection shown to patients. This human touch can never be replaced by a machine. So, artificial intelligence or any other robotic advancement cannot replace the role of a nurse. It can supplement the role of a nurse but the demand for nurses and the care they provide to sick people will always be there. So, the any nursing career will never become redundant because of the innovations in artificial intelligence. Artificial Intelligence in Nursing cannot happen because machines do not have emotions, unlike a nurse. Nurses are always moving from one country to another. This is because of the better opportunities in many countries abroad. Also, nurses want to keep pace with the developments in their profession. This makes them move from one country to another seeking challenging nurse positions. Nursing is a career choice in many developing countries like India and Philippines, mainly for the nurse to go abroad and work. Do you want to work in USA / Canada / UK or Ireland? Nursing is a highly respectable career. The main reason for this is that nurses take care of sick patients and this makes people to look up to them. The professionalism of nurses also makes people to respect them. Though it was seen as a profession that was dominated by doctors, today nurses are highly respected. This is because of the excellent knowledge and skills that nurses demonstrate. The nursing profession is also highly flexible which makes it attractive as a career. Many people choose nursing career because you will be able to work in different specialties. You will be able to have flexible working hours. At times you may not be able to decide your schedule, but on most occasions, you will be able to plan your schedule. The flexibility to work in any specialty that you like is an added advantage. Nursing career is attractive because of the high job satisfaction. Unlike many professions where you will be disgruntled with your job, the nursing profession offers peace of mind. You will be happy that you have been able to make a difference in the life of sick people. You will also be happy that you have made a difference in the health of a person. Nursing job is highly caring and this makes you happy at the end of the day. There is a high growth potential in the nursing profession. This is one of the main reasons for many people to choose a career in nursing. You will be able to work in different settings and you can choose your area of specialization. Each specialty will have its own growth avenues. Stagnation in the profession can lead to burnout. Since nursing has good scope for professional development, it is a great career choice. The nurses are paid a high salary already. They may start with a reasonable salary of about Rs.15,000 after their basic DGNM or B.Sc Nursing qualification. Soon, as they gain experience, the salary increases quite drastically. An experienced nurse with a Diploma or a nursing degree will be able to earn a salary of about Rs.40,000 to Rs.50,000 within about 5 to 10 years after completing her course. This said, the salary of nurses are still quite less when compared to the salary of doctors. So, there is a huge scope for the salary of nurses in India to increase in the next decade or so. Especially when the health insurance companies start expanding and take over the health care system in India, the salary of nurses will improve quite drastically. 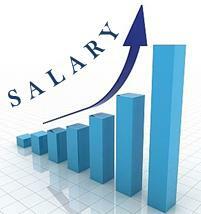 Nursing salary increase will directly be proportional to the development in healthcare. This is true in both developed nations and also developing nations. In the USA, the salary of a nurse is about $68,000 on an average. The average salary of $68,000 works out to be about $33 per hour and $ 1350 per week. The highest earning nurse is usually a nurse anesthetist. The Certified Nurse Anesthetist can earn up to about an average of $1,75,000. Publications in research journals show that nurses are a very happy lot! Nurses are highly satisfied with their profession. One of the main reasons for the mental satisfaction of nurses is that they are treating ill patients. Some nurses may even be treating patients who have very poor health, but need some kind words of support. Nurses are able to provide such unique support to patients and spend quality time with them. In fact, many nurses feel a bond with their patients. Patients too feel a personal bond with the nurses. This kind of bonding adds to the mental satisfaction of nurses. So, if you are looking out for a career where you will have job satisfaction and mental satisfaction, a career as a nurse is the right choice for you. Unlike many professionals who face burnout in their jobs, the job of a nurse gets interesting with experience. The nurse is able to mentor junior nurses and help more people as she gains rich experience. The value of the nurse increases with experience. The salary of the nurse increases with experience. An Information technology professional and any other professional could lose their job due to cost cutting, but a nurse is never likely to face such a situation. The nurse is in demand and so her value and salary increase with experience. This is a ideal career choice for any person who wants a guaranteed job and lifelong career. A spouse who is a nurse will add to the financial stability of the family. In many families, nurses are able to support the family single handedly with their income. In other families, an individual becomes a nurse to financially support the family. A nurse partner or spouse will add to the stability of the family. Who doesn’t like some additional income? If you are a nurse, you have a great opportunity to earn additional income. If you work in the hospital overtime, you will be given additional pay. This is more than enough to supplement your regular income. Many nurses prefer to work in the nights so that they can spend time with their family during the day. So, a nurse who works overtime or works in the night will not only get additional pay, but they can spend additional quality time with their family. Some nurses may feel that night duty is a burden, but actually night duties as a nurse helps you to work as well as spend time with your family with sleep in between. Hospital employees are usually provided treatment in the hospitals they work at a concessional rate. This is a huge benefit with ballooning healthcare costs overall. If you are a nurse in a hospital, the hospital may also provide concessional treatment rates for the spouse and the whole family too. So, other than being a well paid job, a nurse job or a nursing career is likely to help you save money on healthcare too. A nursing career not only allows you to help people undergoing treatment in hospitals, but it also gives you the confidence to treat your family members. I have a grandmother who is quite old and she needs a lot of supportive care and treatment. Bering a nurse helps me to monitor as well as take care of her health. I am able to monitor her blood pressure, diabetes level and I am also able to provide nebulization and other supportive therapy at home. This is the advantage of being a nurse. You can help your family members by providing health advice and also by providing them supportive healthcare and therapy as and when needed. Some nurses have made nursing as a career choice because they have sick people in their home and are motivated to take up this satisfying healthcare profession. Nursing requires a fair amount of walking every day, unlike IT, Clerical and other Desk jobs where constant sitting is a severe health problem, Nursing has no such issues. At the same time it is not a physically intensive job either. In my opinion it is a perfect job for your personal health. Nursing job comes with a tremendous respect in the hospital and society in general. In western countries, registered nurses are given flexible schedules. This is a great benefit for those seeking a personal and work life balance. Paid holidays, PTO and sick leaves. Many hospitals, especially those in western countries offer retirement benefits. Outstanding future job prospects … ! !